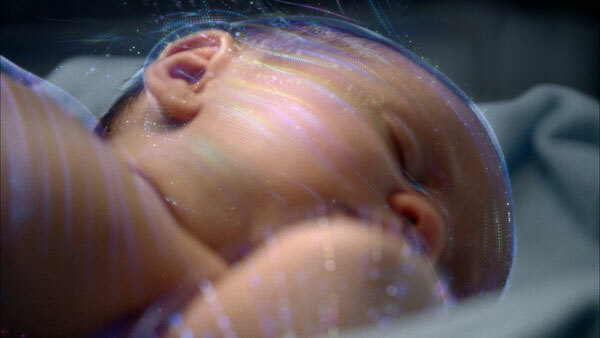 Motion Theory has created stunning visuals using generative art techniques, derived from a newborn’s vital signs, to convey that IBM’s technologies help analyse data to build smarter hospitals. The data-driven artwork forms part of a new TV commercial for IBM via ad agency Ogilvy & Mather/New York. 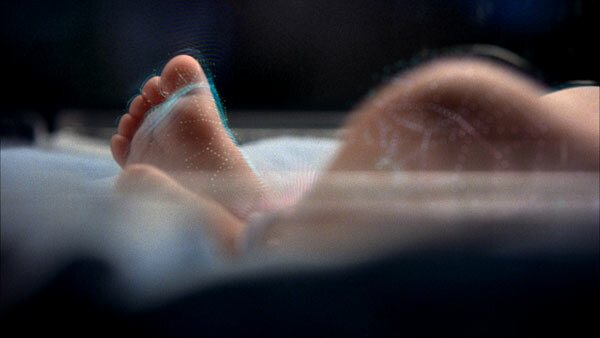 Directed by Motion Theory’s Mathew Cullen, the :30 spot “Data Baby” is part of IBM’s Smarter Planet campaign. The cornerstone of the Smarter Planet campaign is a new visual language developed collectively by the director, designers and code artists at Motion Theory. 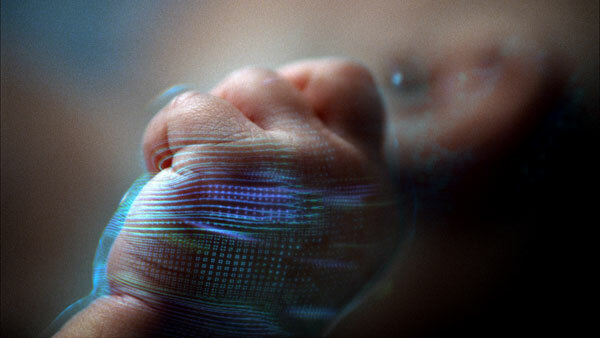 The team built custom code that translates spreadsheets of raw numerical data derived, in the case of “Data Baby,” from a newborn’s respiratory, heart rate, blood pressure, EKG, oxygen saturation and temperature readings into motion paths that move and evolve design elements organically across image sequences. In the spot, patterns gently float up in-frame, seemingly from the surface of a newborn baby resting in a neonatal ward. 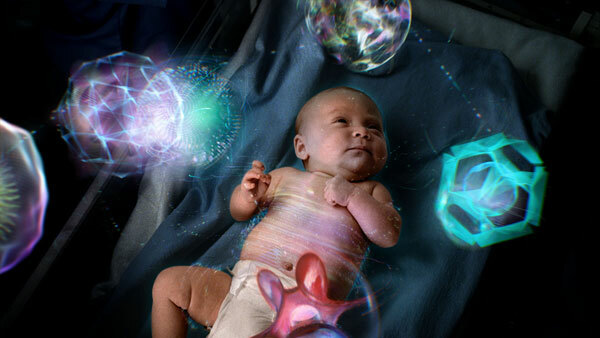 Ethereal CG life patterns, fractal-like shapes and other visual expressions flow upwards to form a stylised mobile that is captured as a reflection in the baby’s eye. 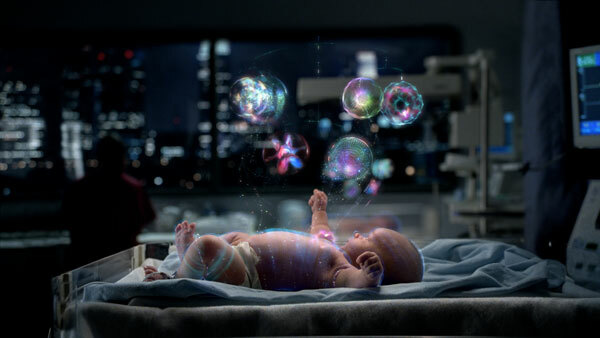 These beautiful design elements warmly envelop the baby, delivering an authentic visual representation of the myriad pieces of data made available to doctors with the help of IBM technology. This is data, as the spot conveys, that helps doctors treat babies more effectively and build smarter hospitals. 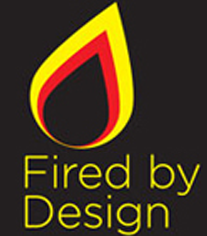 Production, VFX, editorial and finishing was handled in-house at Motion Theory. In addition to C++ code developed for this campaign, the production toolkit included Autodesk Maya, Maxon Cinema 4D, Adobe After Effects and The Foundry’s Nuke.